A monthly Welsh language religious periodical serving the interests of the of the Established Church. The periodical's main contents were religious articles and foreign and domestic news. 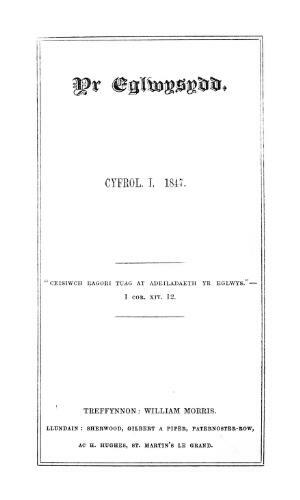 Associated titles: Yr Eglwysydd a'r Cenadwr Eglwysig (1855).